Recognizing Neocon Failure Shows Obama Has Come To His Senses? Tyler Durden of Zero Hedge and others are misinterpreting Steve Kroft’s interview with President Obama. They see weakness and confusion in Obama’s responses and conclude that Kroft shredded Obama. What I see is entirely different. Steve Kroft is either a neoconservative or he is inculcated into the neocon mind-set that the US must prevail everywhere. 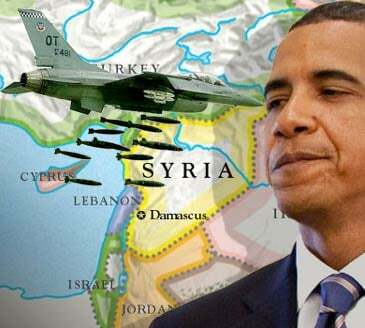 Kroft’s view is that weakness and indecision on Obama’s part is the reason the US is not prevailing in Syria. Kroft’s purpose is to embarrass Obama and push him into escalating the situation. The interview shows me Obama’s strength in recognizing and stating the failure of the neocon program to which his administration was hitched by policymakers in the government. There is hope in this demonstration of strength that in his final year as President he will pull back from the crazed, insane neoconservative agenda of US world hegemony. Those who dislike Obama, and those inculcated by years of propaganda into the neocon view that America must always and everywhere prevail, will see what they want to see. They will not see the hope. To prevent the neocon policymakers and the neocon press from squashing this hope, we must do what we can to support Obama. It is the neocon policy that has failed. In recognizing this failure, Obama is trying to take America off the neocon road to failure and more war. This is a very lonely and dangerous position for Obama to take in Washington.